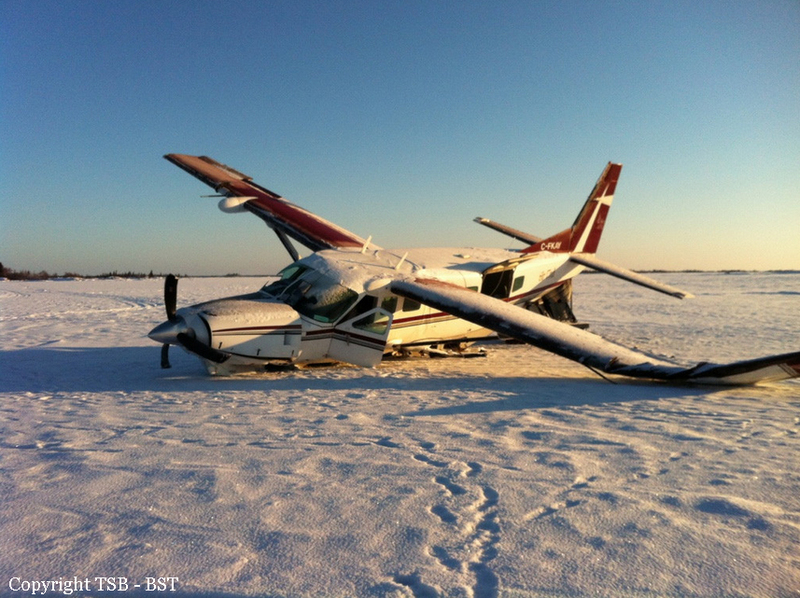 Few minutes after takeoff from Yellowknife, the pilot encountered severe icing conditions and decided to return to Yellowknife. Shortly later, he realized it was impossible to reach his departure point and was forced to attempt an emergency landing on the frozen Great Slave Lake, some 40 km west of Yellowknife. The aircraft hit the 'ground' and came to rest with its left main gear sheared off as well as a part of the left wing. All six occupants were rescued while the aircraft was damaged beyond repair. - Not using all enroute information led the pilot to underestimate the severity and duration of the icing conditions that would be encountered. 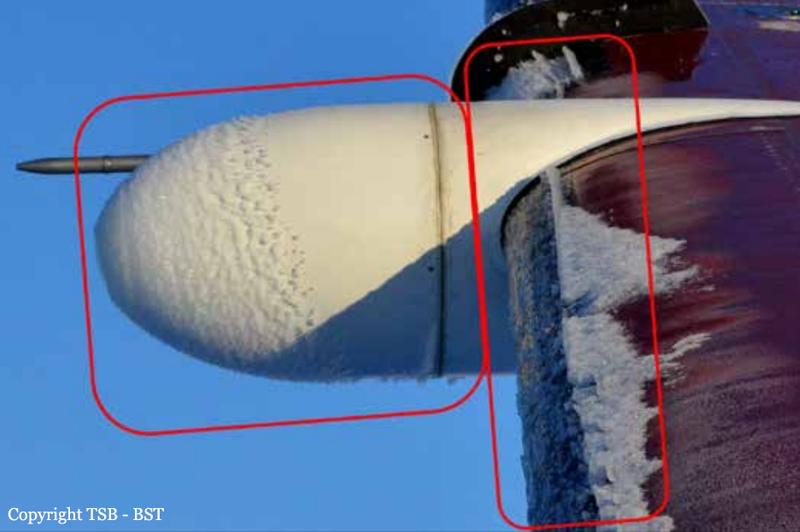 - Inadequate awareness of aircraft limitations in icing conditions and incomplete weightand-balance calculations led to the aircraft being dispatched in an overweight state for the forecast icing conditions. The aircraft center of gravity was not within limits, and this led to a condition that increased stall speed and reduced aircraft climb performance. - The pilot’s expectation that the flight was being undertaken at altitudes where it should have been possible to avoid icing or to move quickly to an altitude without icing conditions led to his decision to continue operation of the aircraft in icing conditions that exceeded the aircraft’s performance capabilities. 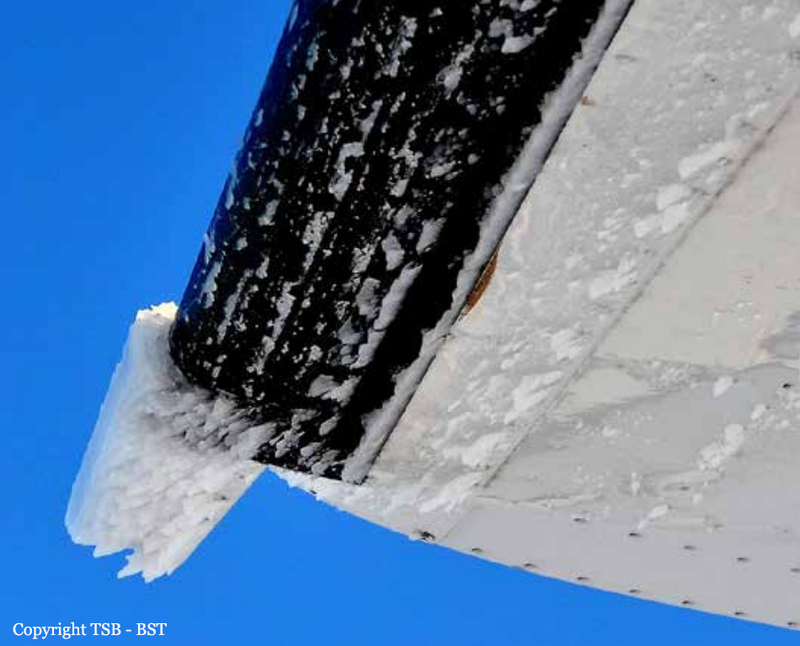 - The severity of the icing conditions encountered and the duration of the exposure resulted in reductions in aerodynamic performance, making it impossible to prevent descent of the aircraft. 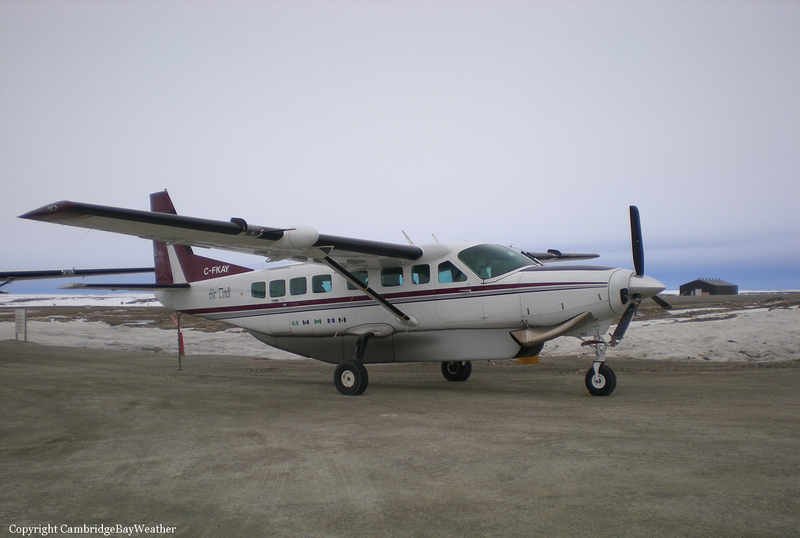 - The inability to arrest descent of the aircraft resulted in the forced landing on the surface of Great Slave Lake and the collision with terrain. - The Type C pilot self-dispatch system employed by Air Tindi did not have quality assurance oversight or adequate support systems. This contributed to the aircraft being dispatched in conditions not suitable for safe flight.